Realize your dream and make your blog a success! We make it easy for you to build your blog and share your thoughts with the world. 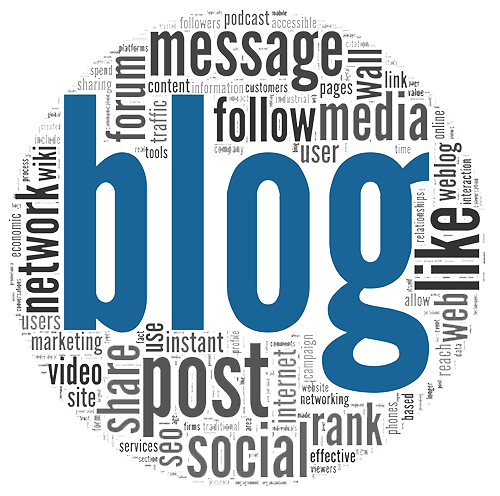 Blogs have gained so much popularity since 2004 that today we find a variety of them such as microblogs, photo blogs, personal blogs etc. Fill up the form for further queries and information your blog Services. If you are a blogger, why use third-party products when you can have your own brand to go with your blog? The ease of use and convenience in terms of updates and customization are primary reasons why blogs are preferred by individuals and many organizations. For journalists, budding writers, and even householders wishing to voice their opinions and thoughts to friends or family or just share recipes, blogs are perfect for writers of any skill level. Too often we have found things can get unorganized over time, and it's quite easy to get it wrong and consequently the fun goes out the window for most very quickly. This is where we can help you get it right and help you stay motivated. Turn your unique blog vision into reality with a custom blog design that can be tailor-made to reflect your individual style and personality. We are very happy and satisfied with Jingle service. Their account manager is efficient and very knowledgeable. It was able to create a vast fan base within very short period of time. We would highly recommend Jingle Infotech to anyone. Everything looks great... Thanks for the quick turn around. We were lucky to find you guys and will definitely be using some of your other services in the near future. It all started with totally wrong designs and a very boring, lack of functionality and diabolical website in which we had numerous problems not only with the website itself but, with the developers to the point whereby we cancelled all services with them, we then contacted Jingleinfotech Ltd and spoke to them and after explaining the kind of problems that we were encountering with our then current developers, JIL said one thing to us and that was "will you trust us?" We said, after our previous experience it was very difficult but we would be willing to give the benefit of doubt to them. It was the best move we ever made, we now have a database driven website with exceptional levels of backend functionality that has created the ideal solution in which we originally were in quest of. As the owner of ANGEL PAPER I cannot emphasise enough at just how good these people are, I basically ask for something and within next to no time, the function becomes available, what a great service they provide it really is a world class service, I have no hesitation in recommending JIL to develop any type of website and software to back up a company's operational tasks. If you want the best of the best, then Jingleinfotech are that company that can and will deliver only the best of the best! C-15, 3rd floor, Amar Colony Main Mkt.